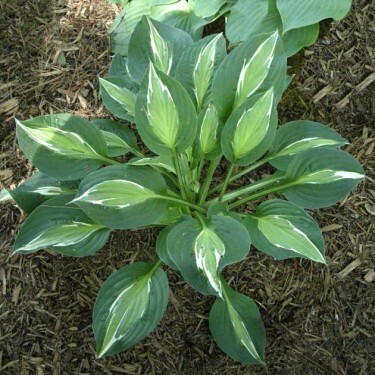 This Hosta is a showcase in shady gardens because the markings allow it to standout like a multicoloured light bulb. Each leaf is a different variation, the centre being green-gold with edges streaked in bright white and those are encased in a darker green edging. It is an absolute must have for Hosta lovers like me! Very showy! 'Snake Eyes' will grab your attention with its unique colouring white streaks that separate the two tones of green.